A jury in Philadelphia has awarded a Pennsylvania man $19.1 million following the loss of his leg after he was hit by another vehicle while assisting with a car crash. The man, Patrick Hennessy, had been a passenger in a vehicle operated by his friend when his friend collided with another vehicle at 2 in the morning. Their vehicle would no longer start after the collision, so the driver and Hennessy got out of the car and attempted to push the vehicle to the side of the road. As they were moving the vehicle, another driver slammed into the car that had originally been struck, propelling it into Hennessy. Hennessy was sandwiched in between two vehicles as a result of the crash. Hennessy sustained catastrophic injuries to his right leg that required amputation as a result of the second crash. On that day, the then 24-year-old was set on a long, painful road to recovery. Therapy to recover from leg amputation comes at a substantial cost. In the United States, the cost of a prosthetic limb alone can begin at $10,000, but easily reach or exceed $15,000. This tremendous amount of money can add up quickly, easily overwhelming the victim's financial resources, especially without insurance. Two years ago Hennessy filed lawsuits against both his friend and the driver that caused the second crash. The multi-million-dollar award was given to Hennessy after a three-day trial found both drivers responsible for Hennessy's injuries. However, since the driver responsible for the second crash had no automobile insurance at the time, the full amount awarded will be solely paid by the Allstate, which is the insurance provider used by Hennessy's friend. Matthew Casey, the lawyer representing Hennessy during the litigation, said "It is our hope that the verdict, once it is paid, will help Mr. Hennessy deal with the long, challenging road ahead of him." Allstate had originally rejected a $250,000 settlement offer proposed by Casey prior to the multi-million-dollar judgment. If you have been hurt in an automobile accident and the insurance providers that are supposed to be handling the situation try to back out of their responsibilities, it is imperative that you seek legal advice. Contact one of our attorneys specializing in automobile accidents today. Were you or a loved one injured in an auto accident due to a negligent driver? 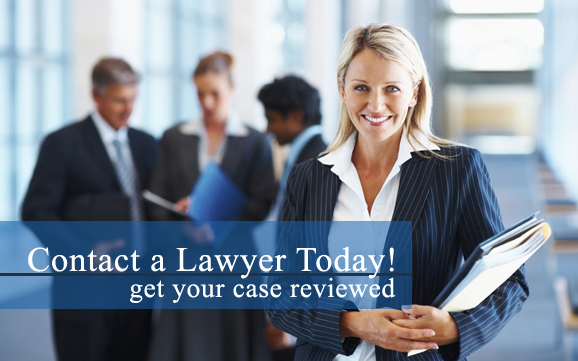 Our personal injury lawyers can help! Contact a car accident attorney in your area today for more information. Hit-and-run accidents can result in very serious charges. These charges can be particularly severe if you were intoxicated at the time of the incident.